Zimbabwe’s Prime Minister Morgan Tsvangirai has got engaged to a Harare businesswoman whose father is a high ranking member of President Robert Mugabe’s ZANU-PF, his spokesman said Saturday. “Yes, it’s very true that the prime minister is engaged,” said the spokesman, Luke Tamborinyoka. 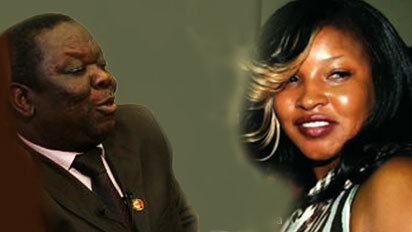 His fiance Elizabeth Macheka is a 35-year-old businesswoman who runs a beauty salon in Harare. Her father Joseph Macheka is a former mayor of Chitungwiza, south of the capital, and he is a member of the central committee in the party of Tsvangirai’s long-time rival Mugabe. Tsvangirai’s wife died in a car crash, which he survived, in 2009 shortly after forming a unity government with Mugabe to pull the country out of crisis after botched polls. Macheka’s first husband, an airforce commander, died in a car crash in 2002.